A provisional place on the course is reserved upon receipt of your Booking Form. Course fees are payable upon booking. Delegates are confirmed on the course only once payment in full has been received. All Civil Service College training courses are subject to VAT at the current rate. Course fees include all relevant course materials and light refreshments. Light lunch is provided on all full day courses unless otherwise stated. Accommodation and travel to and from the course venue are the responsibility of the delegate. An authorised purchase order may be accepted in lieu of payment at the time of booking at Civil Service College’s sole discretion. Acceptance of purchase orders is subject to Civil Service College’s terms and conditions as set out here. In particular, no terms and conditions incorporated within your purchase order are treated as a variation of Civil Service College’s terms and conditions. Where a Purchase Order is accepted by Civil Service College, invoices will be sent via post/email to the name and address provided on the Booking Form. Payment must be received within fourteen days of the invoice date or no later than fourteen working days prior to the start of the course, whichever is the sooner. Payment must be made in pounds Sterling by cheque (made payable to ‘Civil Service College Limited’), debit/credit card or BACS. Early bird discounts are available on some courses. Please contact us for further information. To take the benefit of this offer, booking and full payment must be made eight weeks before the start of the course. The discount cannot be used in conjunction with any other offer and places are subject to availability. 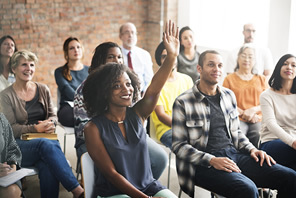 If three or more delegates book on the same course from the same organisation, they qualify for a fifteen percent discount off the combined course fees. To take the benefit of this offer, booking and full payment must be made eight weeks before the start of the course. This discount cannot be used in conjunction with any other offer and places are subject to availability. Civil Service College will send all correspondence to the delegate primarily via email to the email address provided on the Booking Form, unless otherwise requested. It may be necessary, for reasons beyond the control of Civil Service College, to change the content and timing of the programme, the date, the venue or the trainer. In this event, Civil Service College will endeavour to inform all delegates a week before the course is due to take place, although please be aware that this is not always possible. Civil Service College will make every effort to accommodate special requirements notified in advance on the Booking Form. Joining instructions including an outline Programme Schedule, venue details and map will be issued approximately three weeks prior to the course. If you have not received your joining instructions one week prior to the training course, please call us on 020 8069 9000. Civil Service College will not be held responsible for non-receipt of joining instructions and refunds will not be issued under such circumstances. If you notify Civil Service College in writing (via letter, email or fax) 29 days or more before the start date of a course, you will receive a refund less a cancellation fee of 50% (plus VAT) of the course fee. If you withdraw for whatever reason 28 days or less, no refund is given. Failure to attend a course is treated as late cancellation and no refund is given. You may transfer a place on a course to a substitute delegate free of charge. Please inform us of any changes a week in advance of the course date so that we can ensure that joining instructions are sent to the correct person and delegate lists and badges are correct on the day the course starts. No more than one substitution is permitted. Failure to attend by a substitute is treated as late cancellation and no refund is given. There is no charge for transferring your booking to the same course on an alternative date or to an alternative course offered by Civil Service College provided you notify Civil Service College in writing (via letter, email or fax) 29 days or more before the start date of the original course and if there is availability. However, a transfer fee of 50% of the course fee (plus VAT) is payable if the notice is received 28 days or less before the start of the original course. No more than one transfer is permitted and transfer to the alternative course must be made within six months following the originally booked course. Failure to attend a transferred course is treated as late cancellation and no refund is given. Should a transferred booking be subsequently cancelled, the cancellation fees outlines above will be applied as from the original start date of the original booking. In extreme circumstances, it may be necessary for Civil Service College to alter published programmes, trainers or venues without prior notice, but we will endeavour to inform you as soon as possible in any such instance. Civil Service College cancellations will only take place under extenuating circumstances. In these rare instances, you will be offered a place on the same course on another date. If we cannot offer you an alternative option, we will provide a full refund of the course fees. Civil Service College shall not accept liability for any consequential loss and shall have no liability to reimburse any other costs that may have been incurred, including transport costs, accommodation etc. All intellectual property rights, including copyright, patents, design rights and know-how in or relating to the course or course materials provided, or made available in connection with the course, remain the sole property of Civil Service College or its licensors and no copies of course materials may be made unless expressly agreed in writing by Civil Service College. Civil Service College shall not be liable to refund of fees or for any other penalty should courses be cancelled due to war, fire, strike lock-out, industrial action, tempest, accident, civil disturbance or any other cause whatsoever beyond their control. If you have given us your consent, from time to time, we may send you our latest updates on the availability of programmes, courses and events offered by Civil Service College and information about how you may like to participate in them. We may contact you by direct mail, email and mobile phone by using your personal data registered with us at the time of your booking or enquiry. As always, we abide by the law to protect your privacy. Your personal data will only be used for processing marketing materials from Civil Service College if you have given your consent. Civil Service College does not sell, trade or rent any personal information to others. Should you wish to unsubscribe at any time, please let us know by email to enquiries@civilservicecollege.org.uk or by post to Civil Service College Limited, 25 Queen Anne’s Gate, London SW1H 9BU. These Terms and Conditions shall be deemed to be a contract made in England and shall be construed and applied in all respects in accordance with English law and the parties hereto submit and agree to the jurisdiction of the English courts.